General Motors Co. is expected to dole out 2010 profit-sharing checks that average at least $3,000 to U.S. hourly workers, several media outlets reported today. The payout would be a record for the automaker. Joe Ashton, head of the UAW's GM department, told The Detroit News the bonuses are likely to top the average $1,775 workers received for 1999. 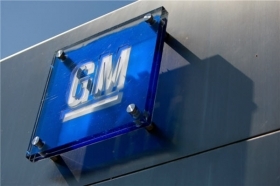 GM could enhance the bonuses with incentive pay not required by its labor contract. "We've had conversations with GM,” Ashton told the News, “and I'm sure GM is looking at any opportunity to reward their workers." Ashton made the comments during an event Monday with U.S. Labor Secretary Hilda Solis at GM's Detroit-Hamtramck plant, according to the News. The Wall Street Journal, citing people close to the matter, said the bonuses are still being calculated. Bloomberg News, citing two people familiar with the plan, said GM may pay 53,000 unionized hourly employees record profit-sharing checks of more than $3,000 per worker. The company hasn't determined a specific amount and may change its plans after completing accounting for 2010, sources told Bloomberg. Sharing the U.S. auto industry's prosperity will be a focus of contract talks this year between the UAW and GM, Ford Motor Co. and Chrysler Group LLC. UAW President Bob King wants to recover some of the $7,000 to $30,000 in concessions workers each gave up since 2005 to help U.S. automakers survive the worst market in 27 years. GM is expected to produce its first annual profit since 2004. The automaker earned $4.2 billion during the first nine months of 2010, and is expected to post around $1 billion in income during the fourth quarter. Ford is paying U.S. hourly workers an average of $5,000 in profit sharing for 2010. The payout is more than the automaker is required to distribute under the profit-sharing formula between the automaker and the UAW. Chrysler Group, which posted a net loss in 2010, plans to pay its U.S. hourly workers $750 each in recognition of their contributions to the company's progress toward recovery last year.